The Dream Foundation and the Grand Legacy at the Park Successfully Bring a Magical Dream to Life for a special family! Welcome to OC Fletcher Family! 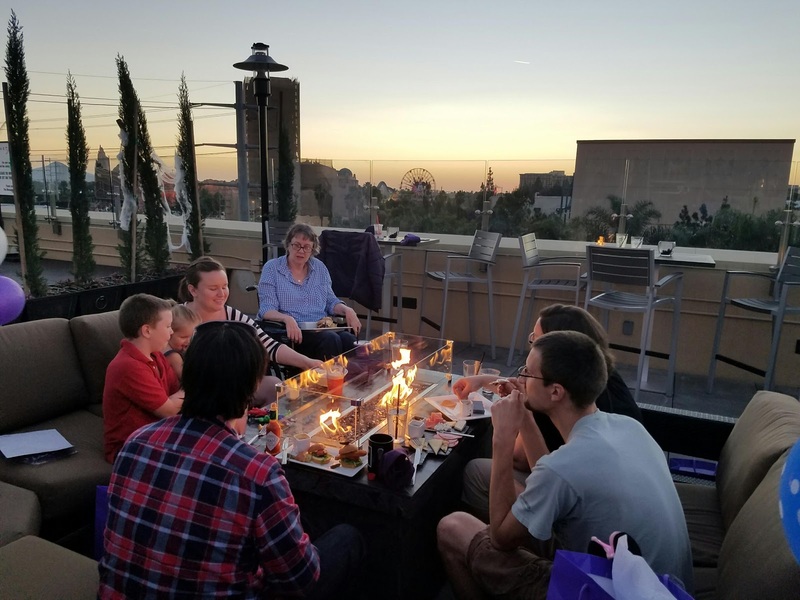 I am so honored to have been at the Fifth, the Grand Legacy rooftop Lounge, on Tuesday to see the faces of this beautiful family enjoy making memories together that will surely last them for years to come. 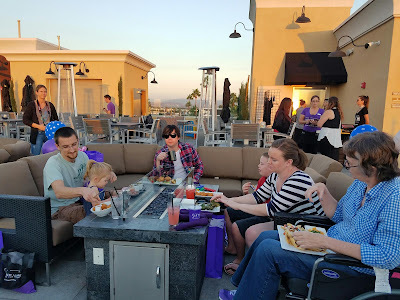 This wonderful family spent the day at California Adventure and soaked up as much of the Disney fun they could before arriving at the Rooftop for dinner and a beautiful sunset view. 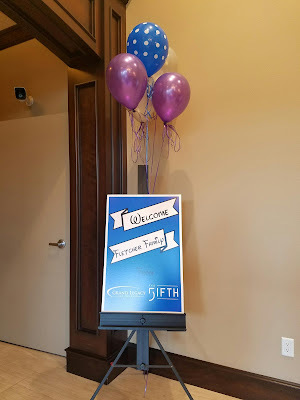 When we first started chatting they were super friendly and opened up right away and express their gratitude to everyone for making this dream come true. Getting everyone together to that her mothers kids and grand-kids were all in one place... priceless. As I watched the amazing grandmother and all her strength put a smile on her face and watch her grand-kids and her own children enjoy this time with her my heart was immediately full. I was talking with one of Mrs. Fletcher's daughters and we talked about our kids and how special this moment was for them and their kids. I shared with her that I lost my mother when I was pregnant with my first child and that the happiness inside me to see her family enjoying moments with her mother was immeasurable... it was bringing me peace and comfort. To know that these sweet people were able to spend special time together knowing what will lie ahead and making the absolute best of this precious time was so significant to see and again amazing to watch this dream come true for them. 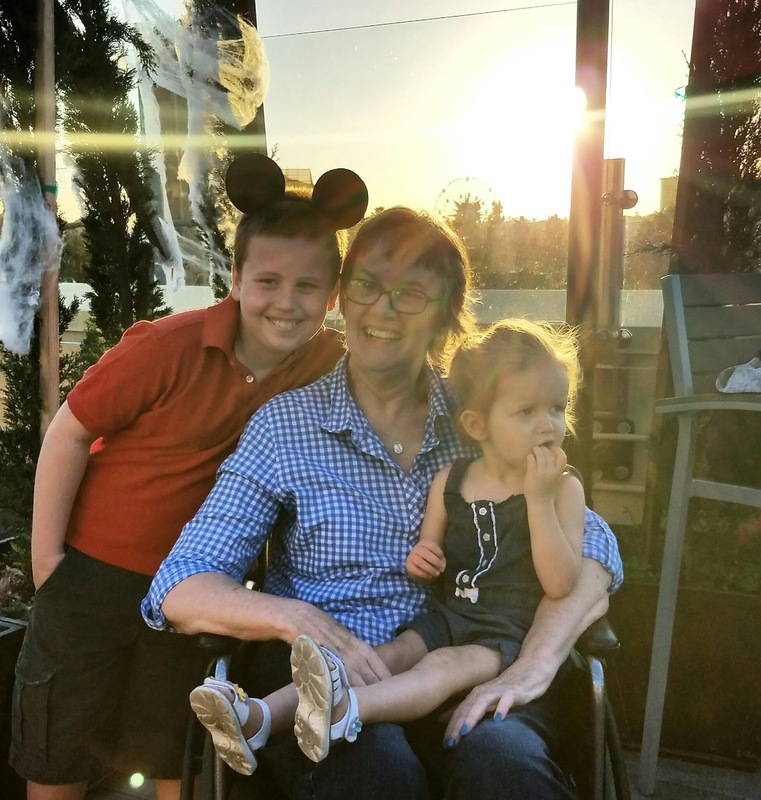 Their grandmother was able to get out of her wheelchair and sit in a chair to enjoy the sunset over Disneyland and she loved it and watching her family enjoy it with her was something I will never forget. Everyone Enjoyed dinner and laughed as the kids danced on the dance floor. We talked about all the fun they were going to have at Disneyland the next day. When we asked their grandmother what she looked forward to most her answer was simple she said I just want to watch my grandchildren laugh and smile and be happy. What a courageous woman... I can see why her kids are so amazingly strong and full of love. I hope they enjoyed the rest of their visit to the Happiest Place and I'm wishing them all the most wonderful pixie dust filled time together here in SoCal and when they return home. Huge shout out to our favorite Anaheim Hotel... Grand Legacy, we are super proud of all the efforts you all give, you go above and beyond, we're proud to support you and see you very soon! Hug your loved ones, make a memory at any moment and take any chance you get to show empathy. For more information on the Dream Foundation please visit here. For more information on the Grand Legacy at the Park and the only Rooftop Lounge in Anaheim visit here.